So, yesterday morning we went on a little adventure. Breakfast at the local cafe (sorry, no pics, but I had a lovely Belgian waffle and hash browns), and then we headed to pick up a needed necessity, dog food. Or so I thought. The husband was driving and he made a side trip to Sears. Sears, of all places, what could we possibly need at Sears? I was told to stay in the car and wait. What fun. Little man and I played peek-a-boo, FOREVER, he never gets tired of that game. I swear, 25 minutes later he finally walks out carrying a large box. This was in it! My new Dyson vacuum! I've been waiting patiently for this vacuum since December. Long story short, our vacuum took a crapper at the end of last year and we have been using the Shop-Vac (of all things) since. 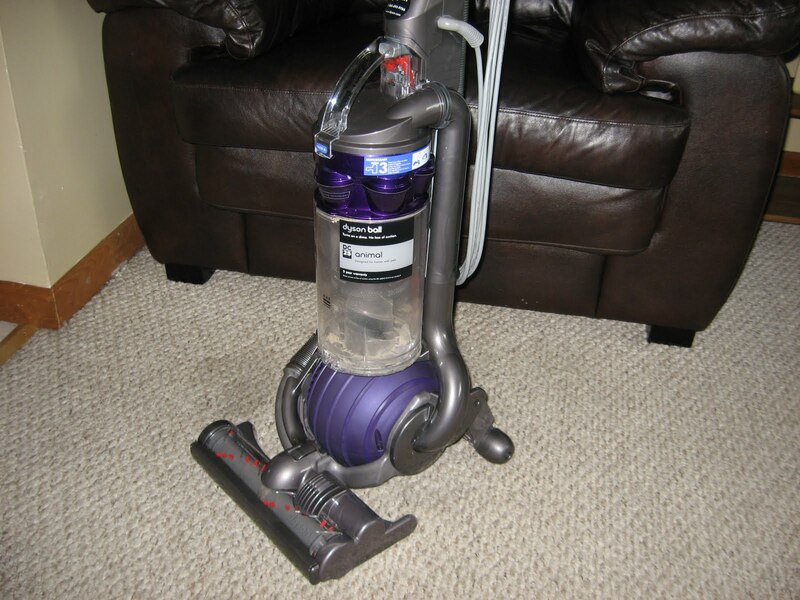 Have you ever vacuumed with a Shop-Vac? It's not fun. It takes 3x as long and you have one heck of a backache by the time your done. Needless to say, I enjoyed vacuuming the house yesterday (twice), and it was quite amazing what this thing picks up. And pretty gross. For dinner I threw together an easy marinade for some chicken tenders that we grilled. Olive oil, lemon juice, parmesan cheese, garlic, and fresh basil from the garden. They soaked in that bath of goodness for a few hours in the fridge, before being thrown on the grill. With a side of leftover tomato & feta pasta salad, the meal was complete. Yum! This marinade kept the chicken very juicy and flavorful. Try it! I'm hoping it clears off today and the sun comes out in full force, as little man and I have a play date...and last but not least, Happy Birthday to my brother - you old man! Don't even get me started on how much love I have for my Dyson. I could talk about it forever. You'll be amazed and grossed out by the amount of stuff that thing gets out of your carpet!! I'll just stop by saying that they are pretty much AWESOME!! Your marinade sounds delish! I love just throwing them together! New vacuums are so exciting. When I got my first nice one, I went to town vacuuming everything. It was disgusting the things it picked up though. What a great surprise! mm that pasta salad looks great! I don't own a vacuum! ...but should. I sweep/swifter/mop. but sometimes it's not enough. 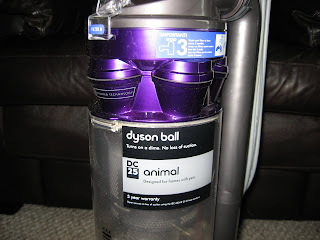 I'm hoping to 'buy' a Dyson with our cash back rewards from Discover...they have those as one of the options for things to get. We're 1/3 of the way there so I'm guessing I'll be waiting another year or 2 for mine but it will be worth it! I love my Dyson, it makes me happy! 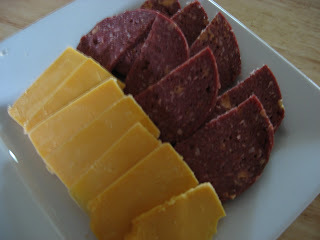 And I also love love love venison sausage. My daughter would be jealous - the vacuum is her favorite appliance and I am pretty sure she vacuums her room on a daily basis. You can see why I missed her cleaning skills when she was in Germany!! 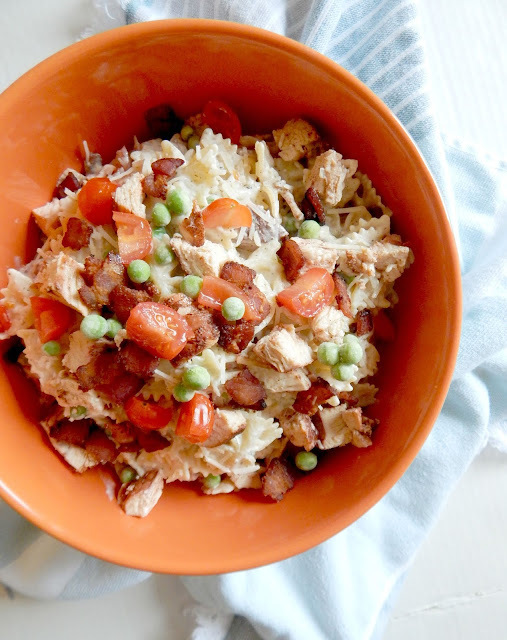 That chicken and pasta salad looks seriously YUMM. I haven't had pasta salad in forever--I need to do something about that! We have all hardwood and ceramic tile floors in our house, but I want a Dyson anyway! When I do my runners and small rugs, I am stuck with the shop vac! 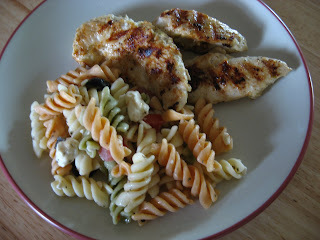 Your chicken and pasta looks divine! I had a dyson and didn't like it because of the awkwardness of the attachments, HATED the attachments. Also I had mine for 3 years and then it died. I bought one of the new hoovers this time that claims to be as good or better than a dyson. Well their right I love my new Hoover and it was only $100 vs the $400 dyson. I will never own anything but a Dyson. The ball is the bomb. Sooo easy to vacuum. When mine arrived I put it together myself. Could not wait for hubby. Went to town in our bedroom and could not believe how much it picked up. I thought it was sucking the fiber out of the rugs. Husband thought we got new rugs. Anyway, I told him that if we ever divorced, he could have the kids but I was getting the Dyson. Not kidding.